A new app has landed on the Japanese PlayStation Network for PlayStation VR. It's called Chokabuki VR ("Super Kabuki"). And it's delightful. Why? 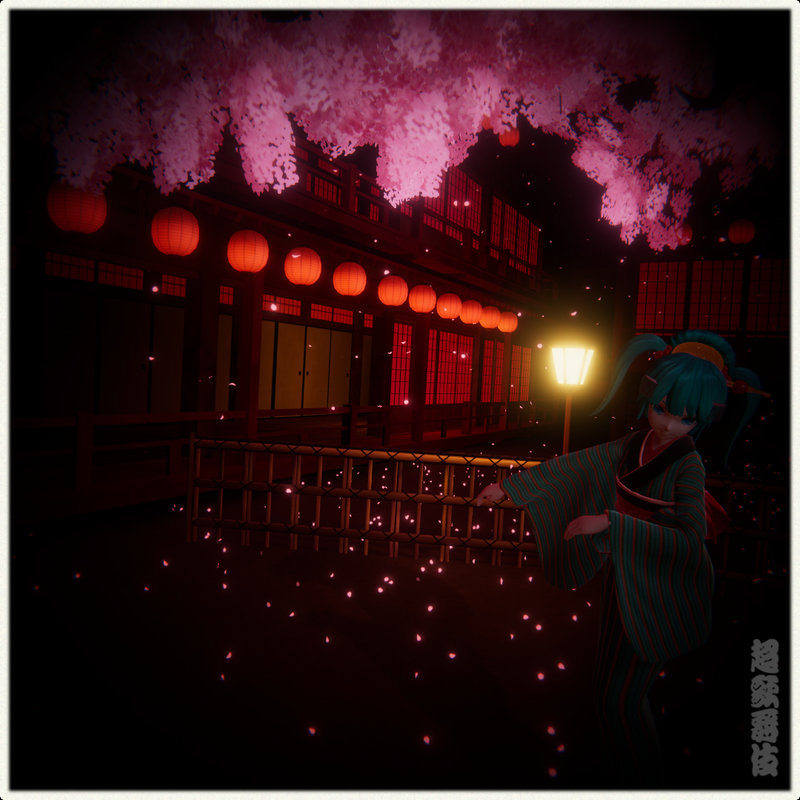 Because it treats you to a performance of Kabuki by our #1 girl, Hatsune Miku! And it's free! 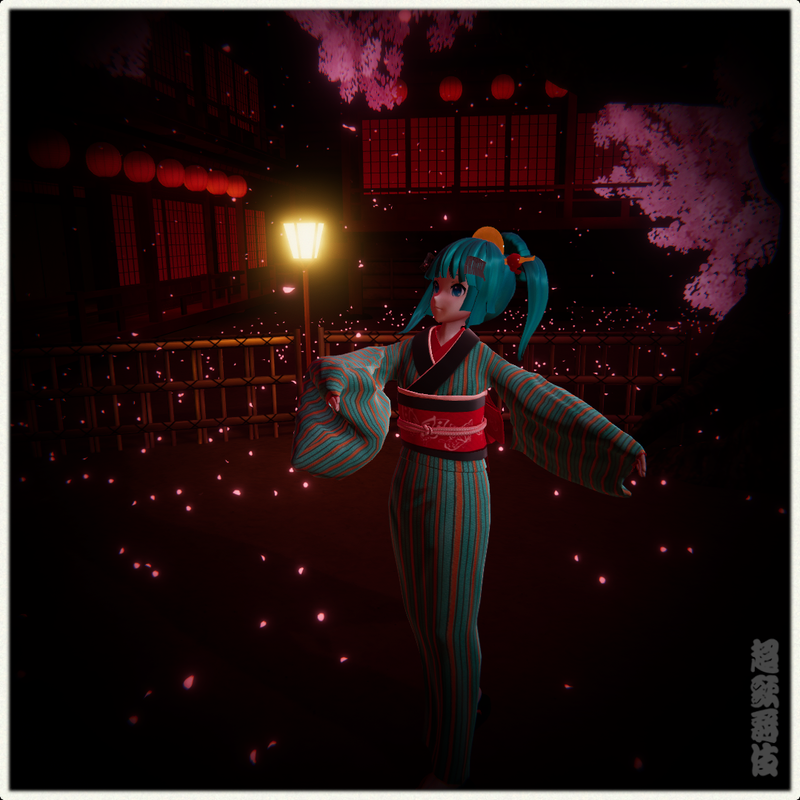 Looking so beautiful and elegant in her kabuki costume, Miku takes you through a traditional part of Japanese art and culture that those of us in the west are not anywhere near familiar enough with. Accompanied by traditional kabuki music, it's a short performance, but it's memorable, and the perfect introduction to traditional Japanese performance. 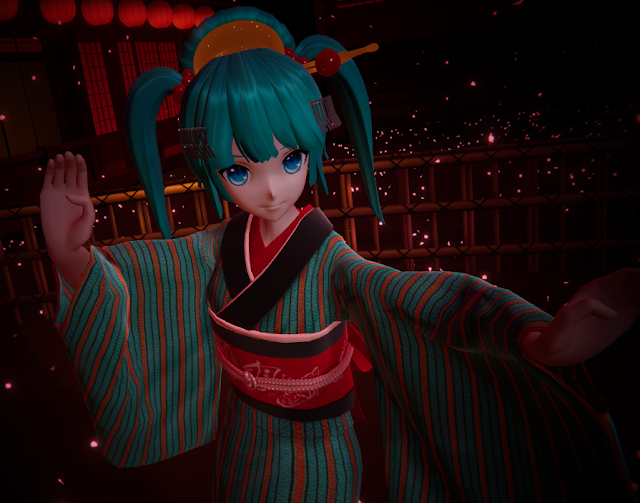 While it's not interactive (so, basically like the existing Miku VR titles), you do bring a camera to the performance (it's not recommended that you do that with real theatre). 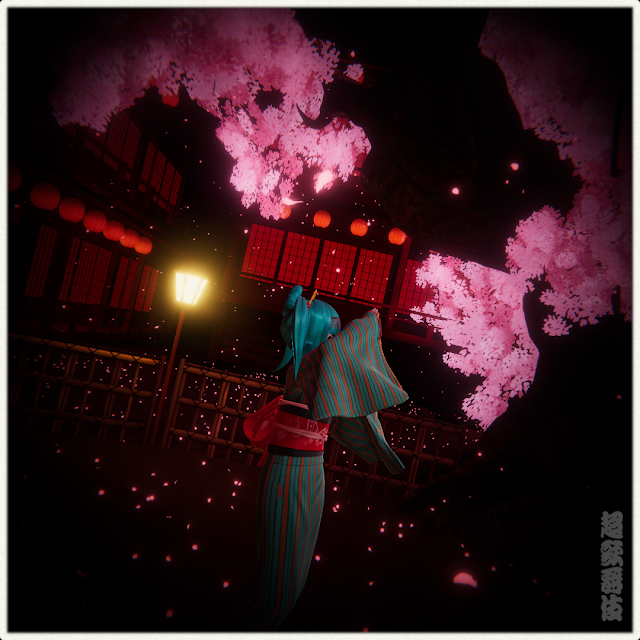 You can use that camera to take photos of the performance, which are then saved in your PlayStation share folder; such as the ones in this article. What's really interesting about it is that the app is not made by SEGA. Rather, it's produced by Dwango, the Japanese multi-media company which owns developers Mages and Spike Chunsoft, and runs the incredibly popular Nico Nico video website. As I had mused in a recent video, it looks like SEGA and Crypton have parted ways, and this, a Hatsune Miku app on a console is perhaps the final nail in the coffin as far as proof of that goes. It was possible that SEGA, which never produced a Miku game on PC, and stopped producing mobile titles long ago, was happy to allow Crypton (Miku's IP owner) to partner with other developers for those platforms. But if SEGA still held the console licenses, there's no way Dwango would have been allowed to produce this. That's kinda sad. SEGA's done well with Miku. But on the other hand, this kind of stuff from Dwango is amazing too, and if nothing else it's going to be really interesting to see what's next for Miku and her friends.